Are you wanting to increase your page views, save time, and grow your business or blog? If so, you’ve come to the right place and I’m so happy you’re here! 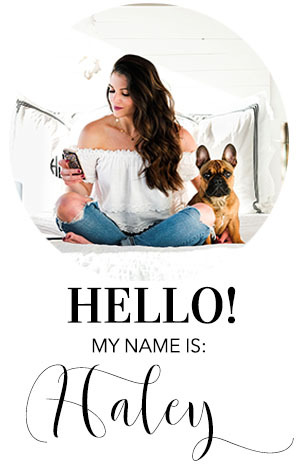 There was one social media channel in particular that I seriously underestimated and today I want to share which one that was and the most amazing tool that has helped me increase my page views exponentially! If you are a blogger or small business owner, chances are that you spend a lot of time on social media promoting your posts or products. Last year, my main focus from a social media standpoint was on Instagram, Facebook followed, and I occasionally pinned images from my posts to my Pinterest page. What I didn’t realize until listening to a few podcasts and talking to some other blogger babes is that Pinterest can be a major traffic driver to your site. Get this: in just four short months, my website traffic from Pinterest grew 1,753%! To grow my website traffic using Pinterest, I first started pinning more. Currently, I pin 20-30 images from my own site and others every day. Chances are you don't have time to sit around and Pinterest all day and I'm right there with you! That's why I started using a Pinterest scheduling tool. The Tailwind app quickly became the tool I absolutely can't live without! This tool can do so many magical things for you including saving you loads of time, and we could all use more of that #amiright?! The main thing that Tailwind allows you to do is schedule your pins so that you can pin in bulk, but they aren’t all posted at one time to your Pinterest feed, rather at the best times of the day. The analytics tools within the app are also very powerful and can help you hone in on what pins are performing the best, what you should pin more of, and even the times that you should pin. Currently, I am pinning about 20-30 pins a day and have seen crazy growth in traffic from Pinterest alone. The number of followers I have on Pinterest has also quadrupled in just a few months of using the app- amazing, right?! The best news is that scheduling pins for a whole week takes about 1-2 hours. It is a major time saver and is well worth the monthly fee! If you have any other questions about Pinterest, blogging, etc. I would love to hear from you! Just leave your inquiries (or suggestions!) in the comments and I’ll do my best to answer your Q's! I hope you can use these tips and tools to your advantage like myself and so many other boss babes have! Keep working hard and have a wonderful day!